The interest in both our clocks and clockmakers has been phenomenal of late, with some of our clockmakers feeling more like celebrities than craftsman! Stories have been run by several local BBC Radio shows, a local newspaper in the Scottish highlands and even a snippet on the local ITV news in Devon. Whilst on a recent trip to the island of Jersey, clockmaker Paul Kilburn was maintaining clock at the Holy Trinity church when BBC Radio Jersey approached him for an interview. The interview explained Paul’s work at the church, and gave an overview of Smith of Derby. 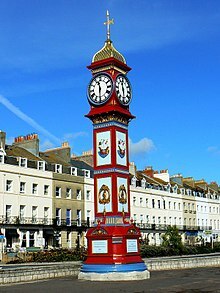 Not long after Paul had set foot back on mainland Britain, he was restoring parts of the Jubilee Clock Tower in Weymouth when he was interviewed by BBC Radio Solent for a Facebook video. 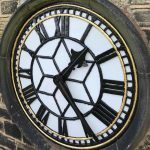 During the video Paul told viewers of his work which included repainting of the dial hands, cleaning the bevel sets and dial motion works, along with replacing the glass on the clock face. The next feature on Smith of Derby was in The Orcadian, the local newspaper for the Orkney Islands in Scotland. This was focused on the recent installation of an automatic clock winder at the St Magnus Cathedral, Kirkwall. This was a historic moment for the cathedral as is has been a duty of local custodians to hand wind the clock since it was installed in 1919. The final news piece was for ITV West Country news. 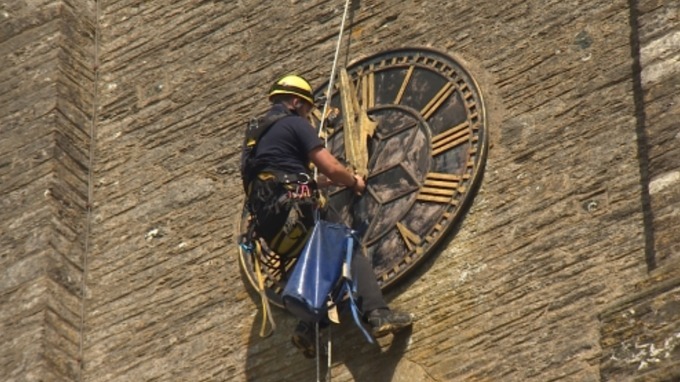 This story was focused on the restoration of the clock face, along with the fitting of a pendulum regulator and auto wind at St Peter and St Paul Church in Ermington, Devon. 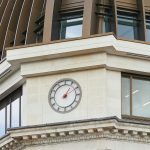 The works were carried out to mark the hundredth anniversary of the end of the first world war following a community effort to raise funds for the clock. We would like to thank all of the above media organisations for taking the time to develop these news stories, it is certainly something we are very proud of!